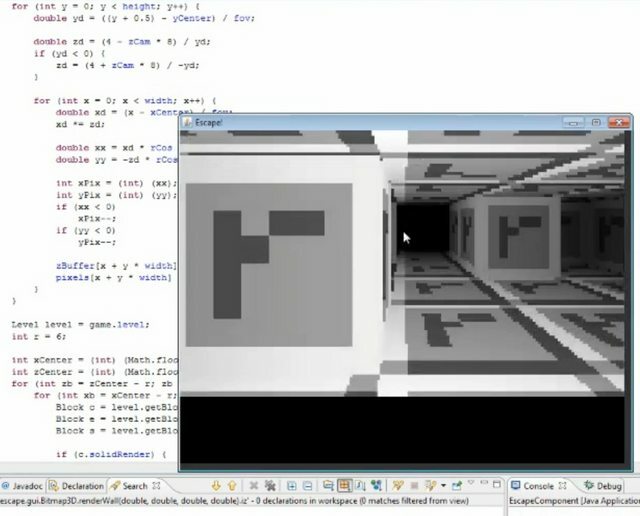 Notch is writing a game as part of a 48 hour competition and he’s live-streaming his screen. You can actually watch as he codes. 1:38:00 he designs the font pack, with a creepy face at the end. Notch’s editor of choice? Eclipse.